Next-Mex specializes in Mexican Street Tacos. Street Tacos are smaller, more inventive tacos that enable the consumer to combine all of the flavors the chef intended into each and every bite. Our 4.5" corn tortillas are made fresh, by hand, to order. You will not find anything else like them in the area. No longer will you have to deal with eating only the lettuce and cheese in one bite, then only the meat in the next bite. Along with the smaller size comes larger numbers. Not getting full on one or two tacos allows the consumer to sample a larger variety of flavors in one sitting. 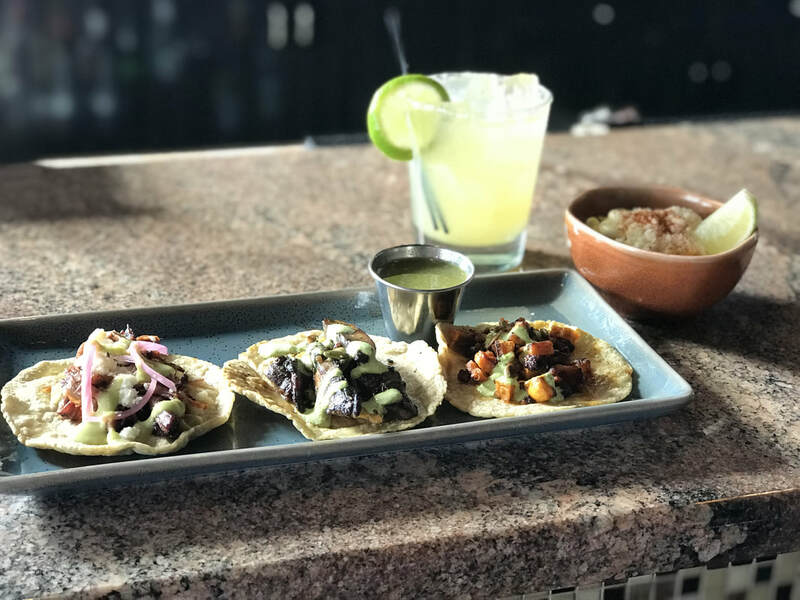 While three tacos will fill up most, it’s not uncommon to see a plate filled with an assortment of a half dozen or more tacos sitting in front of a very happy smiling face.